New Delhi: Preparing the ground to pass on the baton to gen-next, Bajaj Electricals Ltd, a part of the $6 billion Bajaj group, on Wednesday said it has appointed Anant Bajaj - son of chairman and managing director (MD) Shekhar Bajaj - as the company’s joint MD. 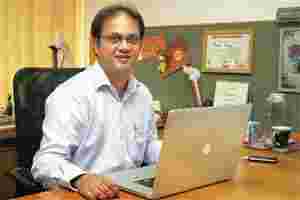 “The remuneration and compensation committee of the company’s board has approved the promotion of Anant Bajaj as joint MD of the company effective 1 April 2012 for the remainder period of his five year term from 1 February 2011," Bajaj Electricals Ltd said in a filing to the BSE. He had joined Bajaj Electricals as Project Co-ordinator in 1999 and was responsible for setting up the ₹ 45 crore high mast manufacturing and galvanising plant at Ranjangaon, near Pune in Maharashtra. In 2005, he was appointed general manager, special assignments. He set up the export arm, Bajaj International Pvt and also played key role in the company’s diversification into IT and Solar products. Bajaj Electricals has presence in kitchen appliances, fan, lighting, apart from an engineering and projects division. In the third quarter ended December 2011 the company had posted net sales of ₹ 792.86 crore. Its total income in the financial year 2010-11 stood at ₹ 2,741.15 crore.